Intel this year has been focusing more and more on low-energy processors for use in mobile devices such as smartphones and tablets. Now, in an investment presentation earlier this week, Intel further detailed its plans in the mobile CPU market, including a rough roadmap for future Atom processors. According to Intel CEO Paul Otellini, the chipmaker is planning to “double the pace of Moore’s Law” over the next three years with three upcoming Atom processors. These will be the 32nm “Saltwell,” the previously reported 22nm “Silvermont,” and the 14nm “Airmont.” Each reduction in manufacturing scale is expected to reduce heat output and thermal design power (TDP) without large sacrifices to overall performance. Intel is currently playing catch up with ARM-based processors in the mobile CPU market. While Nvidia’s Tegra platform and Qualcomm’s Snapdragon series continue to sell well in mobile devices, Intel is left at the drawing board contemplating its next move. 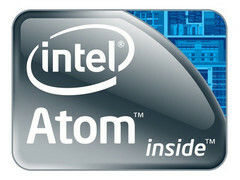 Early last week, however, we reported that Intel has been working on a brand new Atom architecture, which Tom’s Hardware predicts will merge with Intel’s “Ivy Bridge” Tri-Gate platform. The combination of continuous Atom die shrinks with new processor architectures may be just what Intel needs in the already aggressive mobile CPU market. Additionally, Intel has confirmed during the investment presentation that the company will not be utilizing the ARM architecture, and will instead focus on improving the x86 platform for mobile devices. “We’d pay royalties to them so it would lower the overall profits. I think we can do a better,” said Otellini.